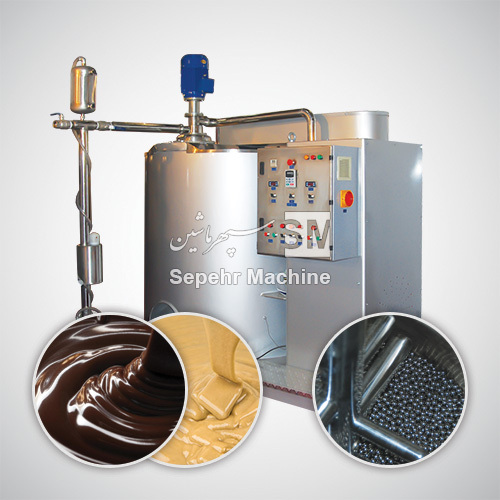 The attrition ball mill type BM1000 is especially designed for the mixing, fine grinding and conching of chocolate, coatings, compounds and bread spreads. This ball mill a low speed agitated type developed for heat sensitive masses and has a unique configuration between grinding shaft, grinding tank and grinding media resulting in an optimum use of the grinding efficiency. We also manufacturing different sizes such as 1000 kg, 500 kg, 250 kg and Laboratory 17 kg/batch.